Avengers 4 Won’t Show Any Dead Heroes During Promotional Run? An Avengers 4 trailer is on the way, but will it feature any of the characters who were dusted by Thanos? Obviously, a trailer has yet to be released, nor has a poster, or anything else officially having to do with the highly anticipated movie. But, a new rumor suggests that the unlucky heroes from Infinity War will not be featured in the promotional material for Avengers 4. It’s a rumor at this time, because much like anything, if it doesn’t come from Marvel Studios, it isn’t officially true. 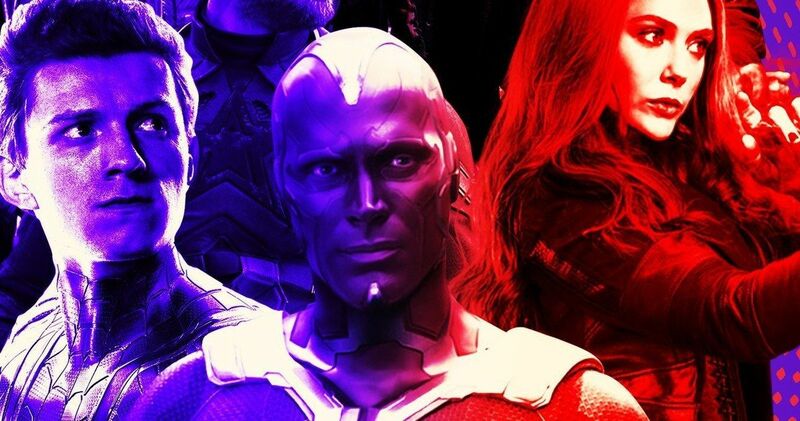 As for the promotional material for Avengers 4 not including the dusted heroes from Infinity War, that just makes sense to keep the mystery alive and to keep fans engaged. With that being said, let’s hope that Marvel Studios does a better job than Warner Bros. and DC Films did when they were keeping Superman out of the Justice League marketing. There has been much speculation about the impending Avengers 4 trailer with many people on social media claiming to have insider information, but Marvel Studios has not announced anything at this time regarding the dusted heroes. Marvel Studios finds itself in a very exciting time for everything that the studio has worked towards in the last decade as well as a very exciting time for fans. The studio has three huge projects coming out in very close proximity to each other. Captain Marvel, which just saw the release of its second trailer, comes out first. The movie takes place in the early 1990s, set before the events of the current timeline in the Marvel Cinematic Universe. Avengers 4 will also feature Carol Danvers, but it isn’t clear how she will make her appearance at this time. Avengers 4 is the big question mark. Carol Danvers will be on board, along with Clint Barton and Scott Lang, who were not present during Infinity War. The gang will reportedly team up with the rest of the surviving members to reverse the effects of Thanos’ snap, but details are scarce. That leads us into Spider-Man: Far From Home, which hits theaters after Avengers 4 and takes place afterwards as well. Fans know that Peter Parker comes back from the dustbin, but how will he be represented in the marketing material for the two projects? With all three MCU movies coming out so close together, it’s going to be very interesting to see how Marvel Studios approaches the challenge. For now, it looks like they’re getting ready to drop the now mythical Avengers 4 trailer soon, which could mean this week or this month. Regardless, it will be coming out really close to the latest Captain Marvel trailer, which means that the studio might be throwing all caution to the wind and just going for it, giving fans an MCU overdose. Again, nothing here has been confirmed by Marvel Studios, so this is all just speculation at this time. Jeremy Conrad’s Twitter account was the first to reveal that the Avengers 4 trailer will not feature dusted characters.